Follow Friday Fun Week 4 - this weekly meme is hosted by Parajunkee. Check out her blog for details/rules, and to join! This week's question: In light of the Summer Solstice, also known as Midsummer...let's talk about fairies. What is your favorite fairy tale or story that revolves around the fae? My favorite fairytale is probably Beauty and the Beast. I'm only familiar with the Disney version, but I love it. Most little girls associate themselves with a Disney princess, and to me, I was Belle - brown eyes, loved to read, French (well, half anyway), and a few other little things. As for stories that revolve around the fae - I've been reading a lot of them lately (I love faerie stories, but it's also been research of sorts - my next novel is going to be about faeries, so I've been seeing what's out there), and my favorites so far have been Wondrous Strange by Lesley Livingston, and The Iron King by Julie Kagawa (links lead to my reviews). They are the exact type of faerie story I've been looking for - I loved them. Book Blogger Hop Week 5 - This is a weekly meme hosted by Crazy For Books. Be sure to stop by her blog to check it out! This week's question: When did you realize reading was your passion and a truly important part of your life? Man, that is a good question. Reading has sort of always been a big part of my life. My parents and grandparents loved to read, and my dad always bought me Berenstein Bears books, which were probably what really got me into reading. As much as I've always loved to read, it's probably been in the last year or so that I realized it was essential - like not just something I want to do, but something I need to do. I had gotten away from reading for awhile, for various reasons - one of them being that I was writing so much - but then I realized I was going crazy and needed to read to keep my sanity. Honestly. As a writer, I live inside my own head so much that I was going nuts (even more nuts than usual). There's no better escape than a book, so now no matter how busy I am, I make time to read. I hope everyone's having a great Friday! I was out of town most of the day, so my post is a bit late. I'll be back tomorrow or Sunday with my latest Library Loot. I'm also in the process of writing reviews for Violets of March by Sarah Jio, and Across the Universe by Beth Revis, so if you're interested, be sure to check back for those in the next few days! If you participate in Book Blogger Hop or Follow Friday Fun - or even if you don't - be sure to leave a comment (I love comments!) and I'll visit you in return! Hopping through. I loved the Berenstein Bears. Definitely a must for childhood. 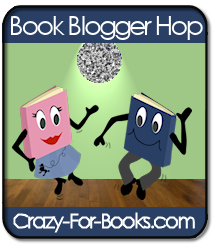 Stopping by via the Book Blogger Hop. I'm a new follower. Have a great weekend! I'm also a Marie (my middle name) and I used to LOVE the Berenstein Bears books! My mom bought me almost all of them. I'm a new follower. :) Please check out my blog and my FF/Hop/TGIF post when you get a chance.